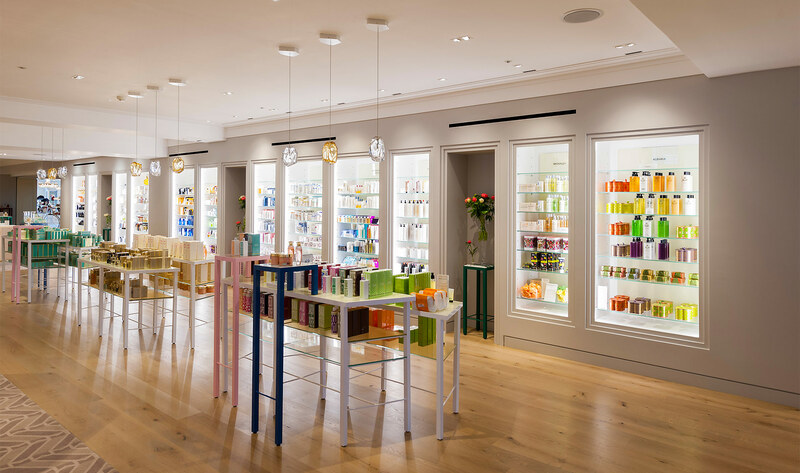 This project created a serene and unique beauty and fragrance department on the second floor. Unique and individual fragrances are available along with specialist beauty products. Among the design features created by Waldo Works is a chandelier formed from perfume and treatment glass bottles and containers. We designed all MEP services for the project.